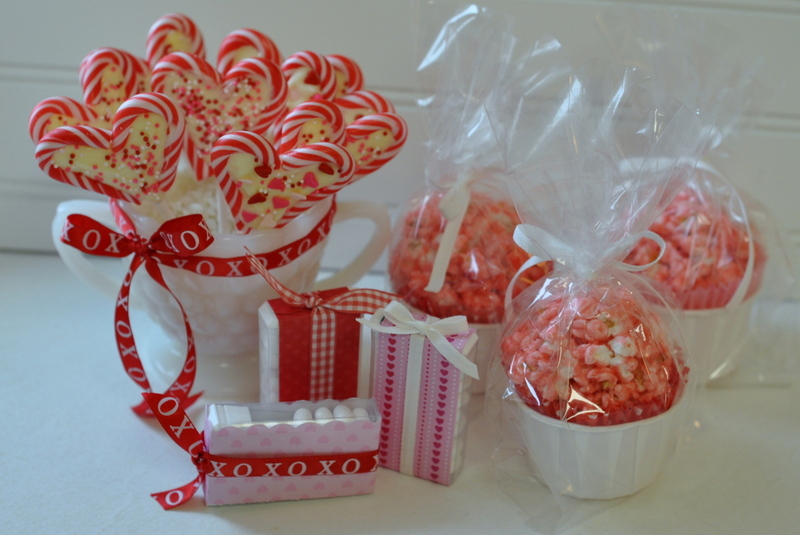 Everyone loves Valentines Day, I mean, really, how could you not? A full day set aside to celebrate LOVE! Hearts and flowers, chocolate and other goodies, and super sweet notes to those we care about..... what a terrific reminder to focus on the positive things in life. I'm almost overwhelmed by all of the great Valentines ideas circulating on the internet. I hope to share lots of them with you all over the coming weeks.... recipes and crafts and parties, too. 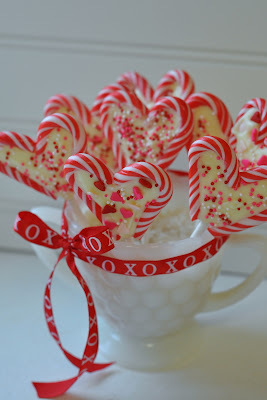 I happened across this adorable idea for a Valentine's treat from Pleasant Home, Valentine's Heart Pops made from candy canes and white chocolate candy melts. This is brilliant! 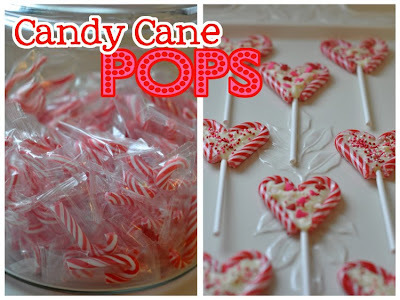 Easy and quick and a great favor for neighbors and friends. 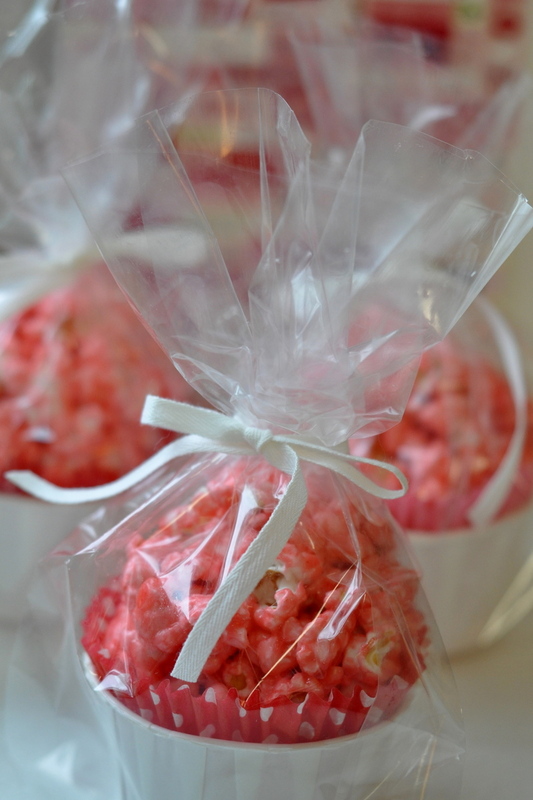 Adorable for a classroom treat, too! 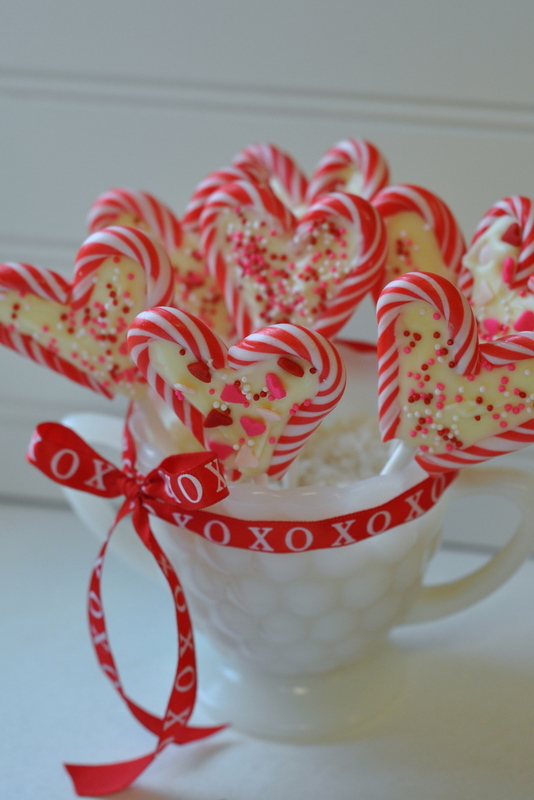 With the directions from Pleasant Home, they are simple to make with a few ingredients..... small candy canes, white chocolate candy melts and some Valentines sprinkles. take a look at these yummy jello pop corn balls. 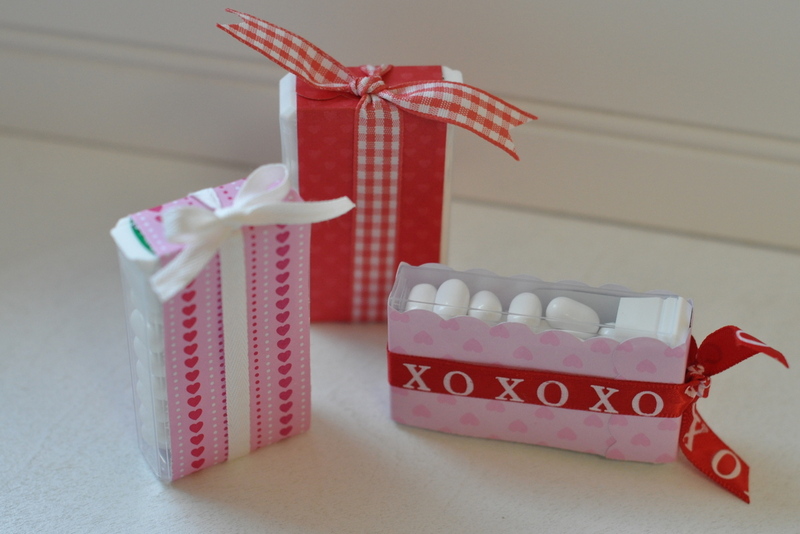 And these super easy favors using tic-tacs and a little scrapbook paper. Thanks, Jodi, for all of your inspiring ideas! Those pops are so cute...I saw them at the Idea Room too. Thanks for the heads up on a new blog to follow! I have blog awards for you over at my blog. Thank you, Phyllis. I'll head on over now to check you out.